The Stephen F. Austin State University School of Art and the Friends of the Visual Arts will present a free, one-night special screening of the documentary "Jane" at 7 p.m. Friday, April 27, in The Cole Art Center @ The Old Opera House in downtown Nacogdoches. Drawing from more than 100 hours of never-before-seen footage that has been tucked away in the National Geographic archives for more than 50 years, award-winning director Brett Morgen tells the story of Jane Goodall, a woman whose chimpanzee research challenged the male-dominated scientific consensus of her time and revolutionized understanding of the natural world. 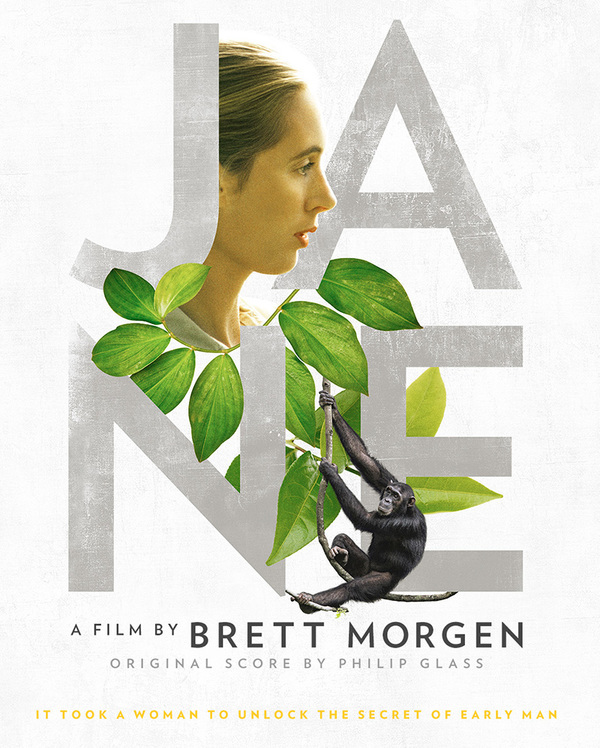 Set to a rich orchestral score from legendary composer Philip Glass, the film offers an unprecedented, intimate portrait of Goodall, who was a trailblazer who defied the odds to become one of the world's most admired conservationists, according to information at www.nationalgeographic.com/jane-the-movie/. This screening is part of the School of Art's Friday Film Series and is sponsored in part by William Arscott, Nacogdoches Film Festival, Karon Gillespie, Mike Mollot, David Kulhavy, Brad Maule, John and Kristen Heath, Galleria Z, Jill Carrington, Jean Stephens, Jim and Mary Neal, Richard Orton, Nacogdoches Junior Forum and Main Street Nacogdoches.